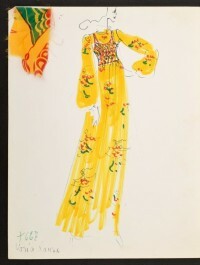 Escada was launched in Munich, West Germany in 1976 by Wolfgang and Margaretha Ley. It was named after a racehorse. It has become a multi-million dollar concern, with many lines. Laurel is their youthful line, Crisca introduced in 1984 is another. In 1990 leather goods were added and in 1991 the Apriori bridge line was introduced. Elements is another line. In 1992, Margaretha Ley died at the age of only 59. 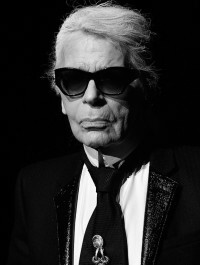 In her place Michael Stolzenburg was named chief designer. However, after only working for 2 years, Stolzenburg died in 1994. A Scotsman Brian Rennie took over as head designer. The well-known designer Todd Oldham also became consultant to Escada, and in 1998 introduced his new line "Todd Oldham for Escada", which was quite successful. Creative director Brian Rennie and Wolfgang Ley presented the Escada Spring/Summer 2003 collection in September 2002. In 2006 Damiano Biella became Creative Director. Today ESCADA is an international luxury fashion group in women's designer fashion. Through its subsidiary PRIMERA AG, the Company additionally sells the midpriced brands apriori, BiBA (retail) and cavita as well as Laurï¿½l (bridge segment). ESCADA is led by an international top management team which in turn is headed by a board of management composed of three executive directors. Since October 2003 the largest shareholder is HMD Partners, a private-equity company, followed by Schroder Investment Management, the founder Wolfgang Ley and the Spanish asset manager Bestinver Gestion. Today there are 385 shops in 63 countries and a new Escada Sport label. You can buy Escada diamonds, sunglasses, bags, shoes and every other fashion accessory. They sell the shortest minis and the highest heels. 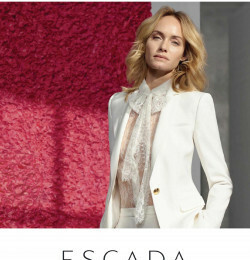 Escada has a clean, slick and sophisticated identity, with innovative fabrics and colour combinations in their garments.